Last major update issued on December 29, 2006 at 06:05 UTC. The geomagnetic field was quiet on December 28. Solar wind speed ranged between 318 and 350 km/s (all day average 340 km/s - decreasing 39 km/s from the previous day). Solar flux measured at 20h UTC on 2.8 GHz was 76.3. The planetary A index was 2 (STAR Ap - based on the mean of three hour interval ap indices: 1.8). Three hour interval K indices: 00000102 (planetary), 01001101 (Boulder). Region 10931 reemerged with a single small spot. 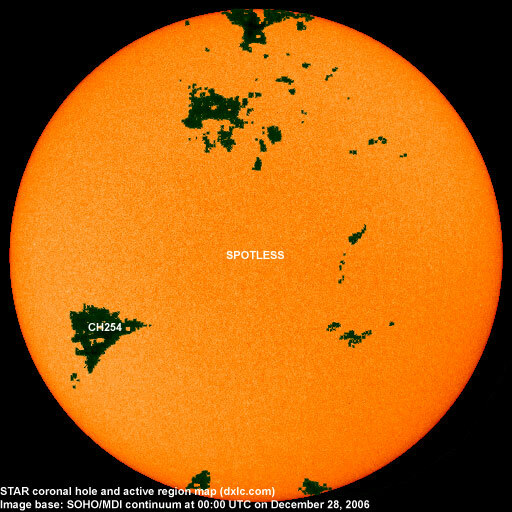 December 26-28: No obvious partly or fully Earth directed CMEs were detected in LASCO imagery. 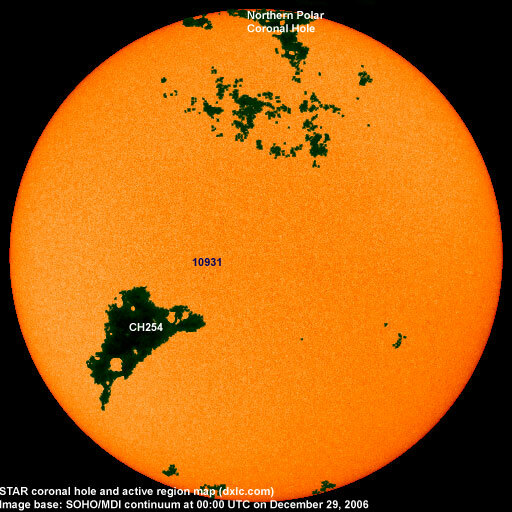 A recurrent coronal hole (CH254) in the southern hemisphere will likely rotate into an Earth facing position on December 30-31. 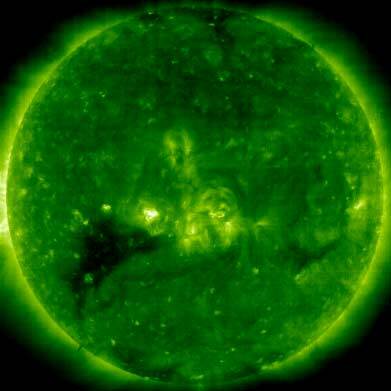 The geomagnetic field is expected to be quiet on December 29 - January 1. A high speed wind from CH254 will likely cause unsettled to minor storm conditions on January 2-3. Long distance low and medium frequency (below 2 MHz) propagation along east-west paths over high and upper middle latitudes is poor to fair. Propagation on long distance northeast-southwest paths is very poor. Monitoring remarks from a location near N58E06: The most common east coast North American stations were heard with mostly weak signals during the night. Some stations from Puerto Rico, Cuba, Colombia and Venezuela were audible as well.